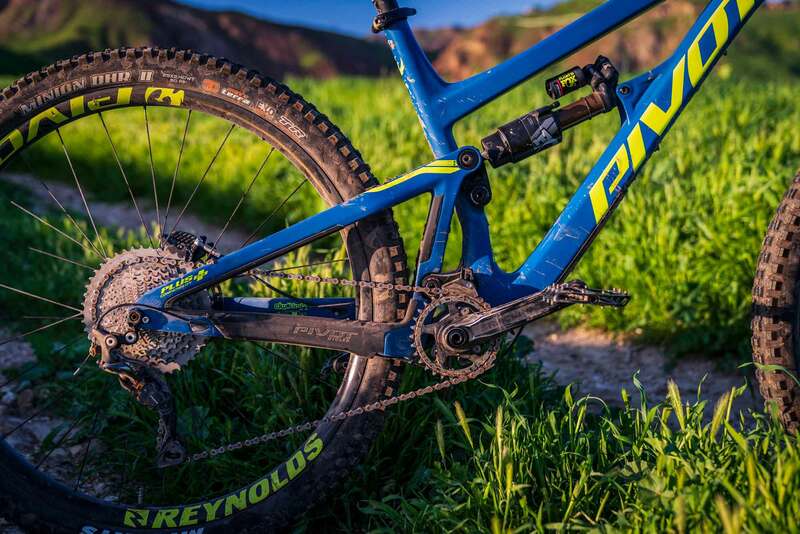 ﻿ Review: Pivot Firebird 29, King of the Long Travel 29ers? 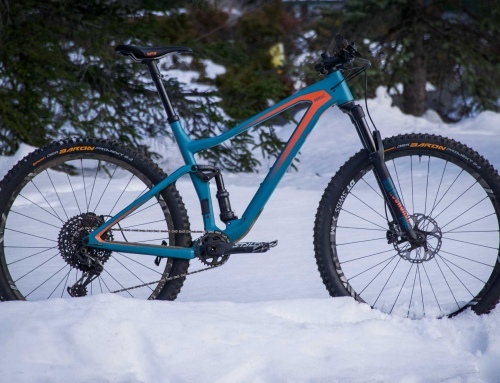 Building off the pedigree of the Firebird 27.5 and Phoenix DH bike, the Pivot Firebird 29 is bred for the steepest, gnarliest and most heinous trails you’d consider pointing a single crown bike down. Unlike the Phoenix however, the Firebird 29 will also get you back up those same hills. 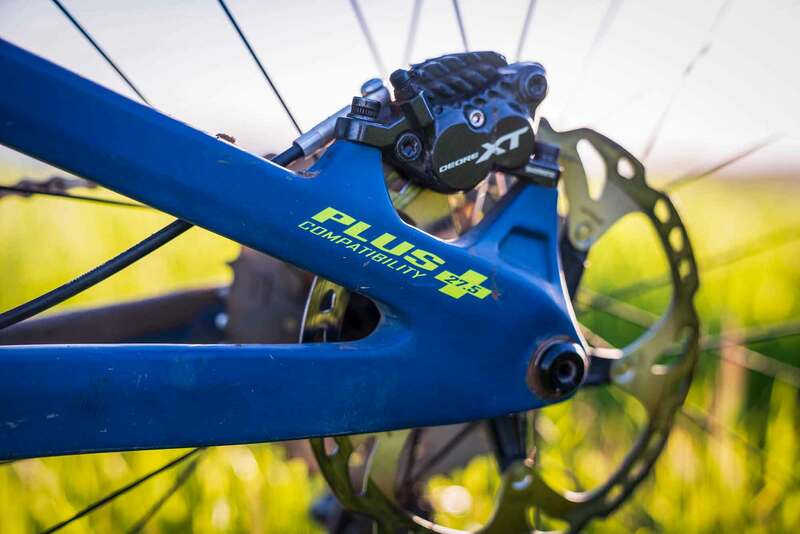 It’s a purpose built EWS machine that’s designed for the toughest courses in the world, but will it work on your home trails? America is the land of excess. We’ve got suburban neighborhood roads the size of European parking lots and it’s routine to have so much food at a meal that you can’t finish it. We thrive on the mega-sized, Big Gulp and triple patty cheeseburgers with EXTRA bacon on top of your bacon. It only makes sense that our bikes follow the same mantra, and the long travel 29er trend attests to that. It’s a genre of bikes that’s become a veritable battle of the geometry charts with companies going bigger, slacker and longer than the competition. Unlike that tripple cheeseburger and a lot of other LT 29er’s however, the Firebird 29 won’t leave you feeling like a greasy sloth. It’s far and away one of the best, and most lively long travel 29ers we’ve been on. It craftily balances its mind-blowing downhill prowess with the ability to still get you up the hill. The core of the Pivot Firebird 29 is the ultra stiff and ultra light hi-mod unidirectional layup carbon frame. 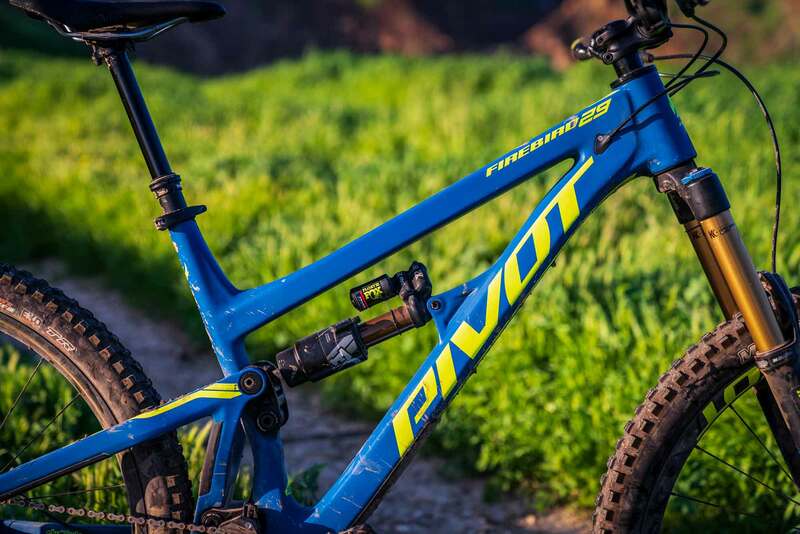 In my mind, Pivot’s torsional rigidity is one of the brand’s defining features and this frame is no exception. 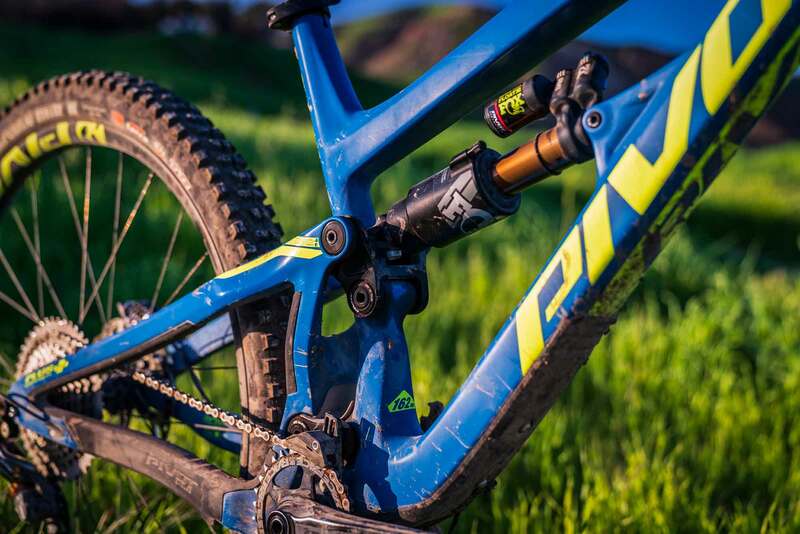 In typical Pivot fashion the rear of the bike is suspended with 162mm of DW-Link suspension and a Fox X2 air shock. A keen eye will notice that the linkage and layout of the frame is altered slightly from the 27.5 version of the Firebird. Those big wheels need a little bit more room when you wanna get weird and send it deep. The Firebird 29 frame is adaptable, the Super Boost rear end will work with 27.5+ wheels, although we kept the OE 29ers on during our test. To keep the geometry and ride consistent between wheel sizes while also offering the end user some adjustability, the Firebird 29 has a flip chip that alters the head tube and seat tube angles by half a degree and moves the bottom bracket 6mm. 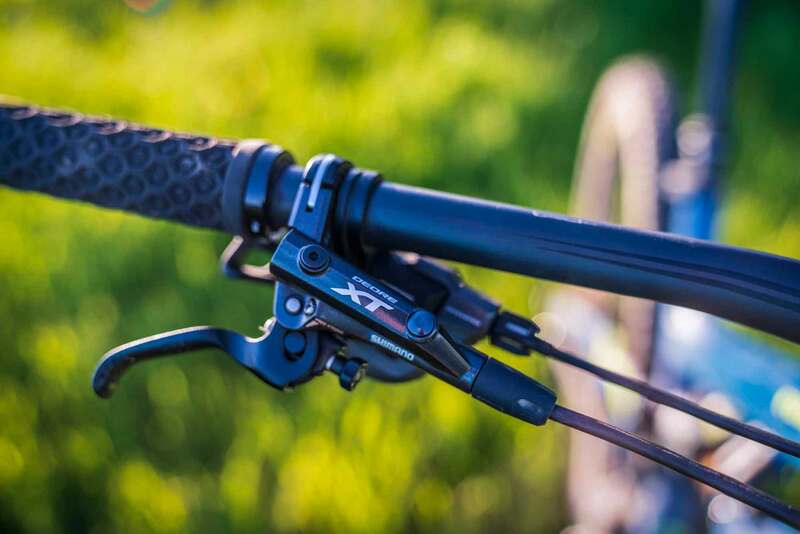 A 170mm Factory Fox 36 handles suspension duties up front, and offers top of the line performance, weight and adjustability. 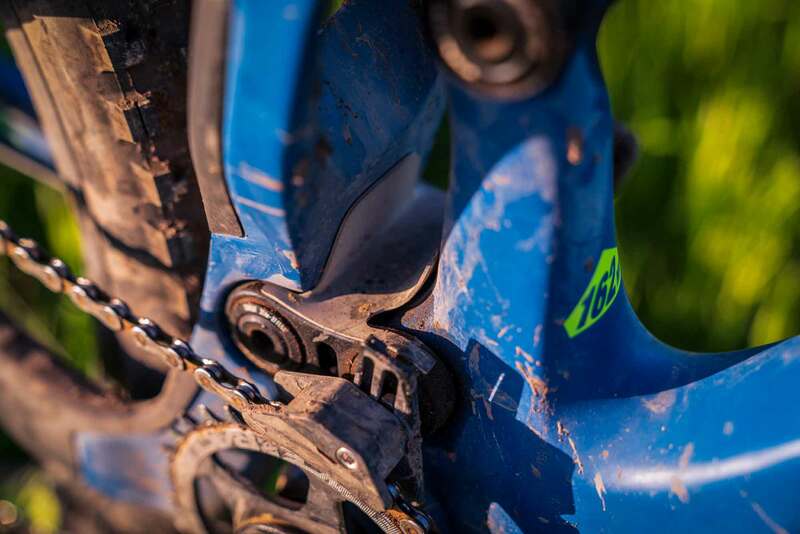 Our bike was spec’d with Shimano from front to rear, with XT brakes and an XTR drivetrain. 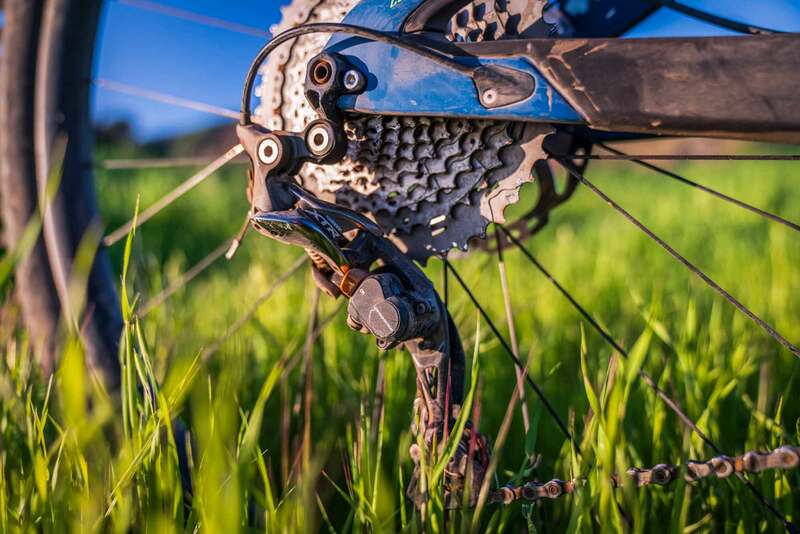 As expected, Shimano’s products never missed a beat during testing, and offered the exceptional performance we’ve come to expect from big blue. Our test rig also got the optional Reynolds wheel upgrade. Along with the color matched decal cool factor they add even more torsional stiffness to the bike in corners and g-outs. 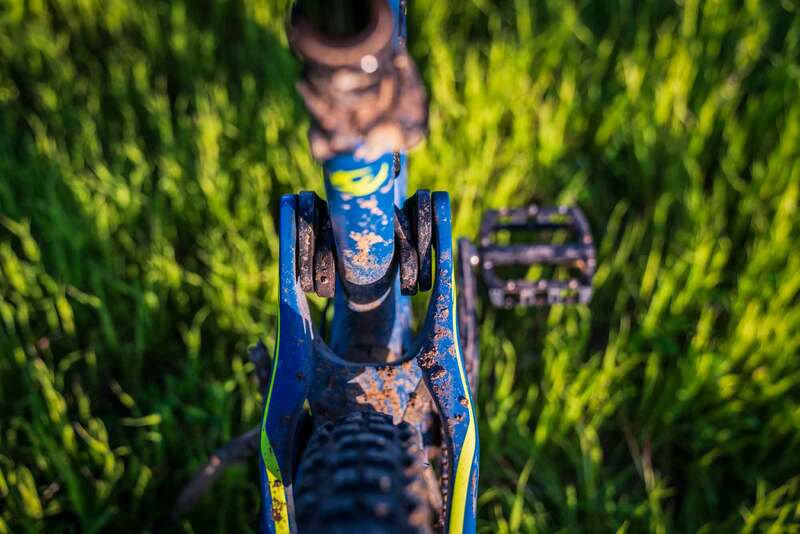 On a hard charging rig like this, we definitely think the upgrade is worth it if you like pushing hard into the corners or going big. The real magic of this bike isn’t in the parts spec however— it’s in the geo. You can tell Pivot put in the hours, obsessing over the fractional changes that make this bike ride so well. Our XL top tube was 26.4 inches. The large frame has a 25.5-inch top tube and all frames have short 16.97-in chain stays. The 65-degree head angle is slack, but strikes the a balance between confidence and agility. The 13.7-in BB height and 24.9-in stack height on the XL put the rider in an “in the bike” riding position, making the ride instantly comfortable and natural. It’s one of the main reasons the Pivot Firebird feels like a mind reader. You think and the bike reacts. We can wholeheartedly say that we did our due diligence to test this bike on the gnarliest, steepest trails we have access too. After all, you don’t get a trophy truck just to drive to the mall. Straight out of the box, our bike’s break-in period was a week of riding at Northstar Bike Park under the notoriously cruel riding of our tester Frenchie. While smooth, Frenchie is known to ride fast and his partial blindness in one eye occasionally leads him astray in the line selection department. After the trip we asked him what he thought of the 29” wheeled bike. “It’s stupid fast and just swallows everything. 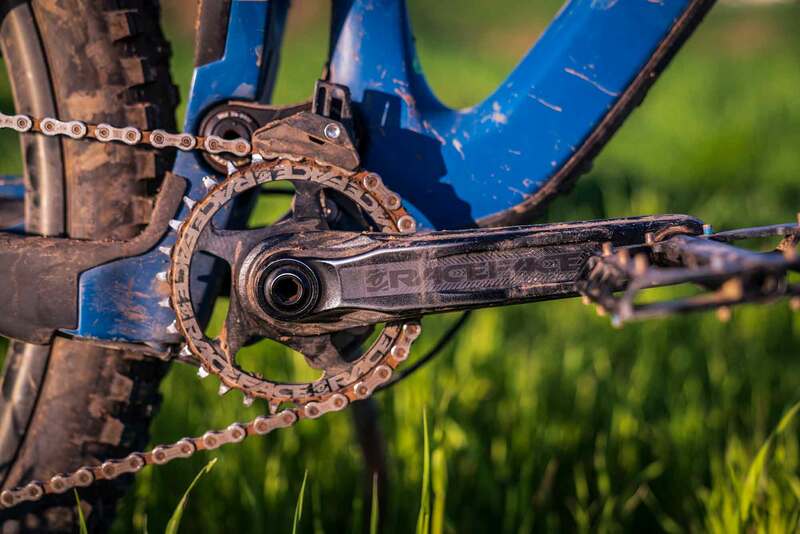 Even in a very beat up, late season bike park trip, I couldn’t believe how much speed I could carry,” said Frenchie. After I managed to pry the bike from his hands to get some time on it myself, I was equally impressed. I was curious to compare the bike to the Firebird 27.5 I knew and loved. I immediately noticed the power of 29” wheels. Just like how trophy trucks and Ultra4 trucks rely on 38-40” tires to navigate features in the desert, 29” wheels do a remarkable job tackling rocks and improving all around speed. The combination of 29” wheels and DW-Link suspension are a potent mix that I couldn’t get enough of. The progressive rear suspension does a pretty good job at handling sharp impacts and chatter, but remains supportive and agile when it comes time to pop around the trail and over obstacles. Despite its travel and geo numbers, the Firebird 29 has a very light-footed mannerism on the trail and in the air. That light-footedness is one of the key features that makes the bike so manageable on the trail despite what it looks like on paper. 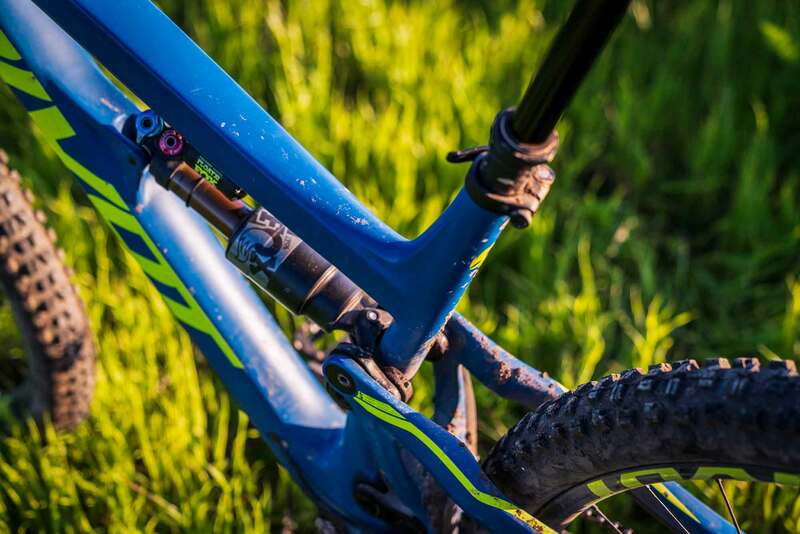 One area the Firebird excels ahead of many of its long travel 29er competitors is cornering. It’s one of the most predictable and agile bike’s I’ve ridden in the category, aided in large part by the great geo numbers and ultra short 16.97-inch chain stays. 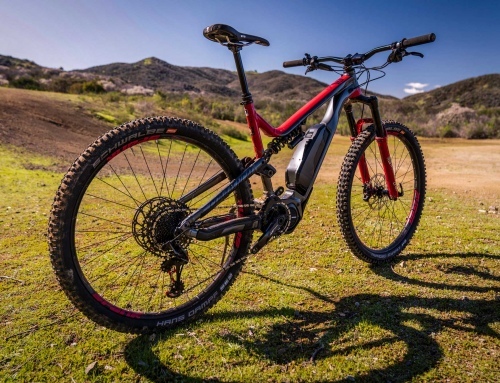 Pivot’s incredibly stiff Super Boost frame and Reynolds wheels give the bike the torsional rigidity needed to snap out of corners and respond immediately to subtle rider inputs. Even on off camber moon dust corners, the bike handles like it’s reading your mind. 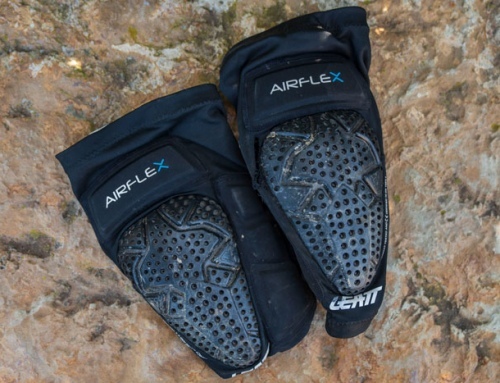 That characteristic quickly made it my rig of choice for tackling the raw, fast, post-fire burn zones around me. Of course getting to those remote ridge top zones requires quite a bit of pedaling. While the Firebird is no XC bike, it climbs well above its pay grade. I’d happily take this bike to an EWS race or top-secret burn zone shred. While it did have some pedal bob on long fire road climbs, a quick reach down to flip the pedal assist switch on the shock ended that and transformed the bike into a rock hard charger. 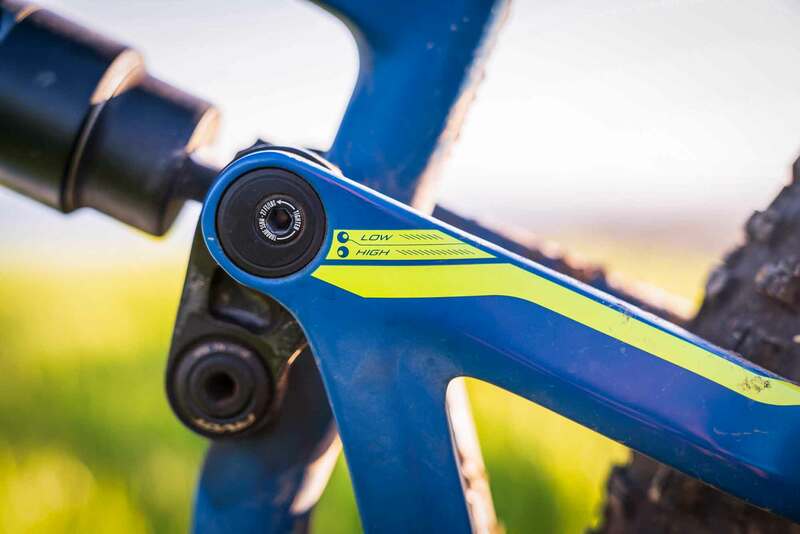 On technical singletrack climbs, the short stays are combatted by the 75.75-degree seat tube angle to keep rider’s weight over the bike and improve traction. The Firebird’s low weight also makes a huge difference when it comes time to point it uphill. Chances are if you’re looking into the long travel 29er market, you know the type of bike you’re signing yourself up for. The Firebird 29 isn’t the bike I’d recommend for someone doing trail rides in Michigan. 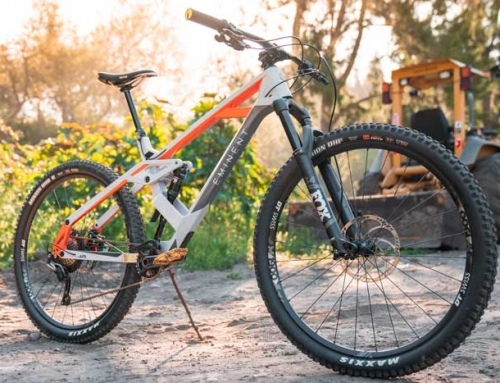 If your typical riding involves DH terrain or lots of raw, tech trails in bike parks, the Firebird 29 is one of the best LT 29ers on the market and will get you to the top and back down in a blur. The premium price is backed with a premium parts spec and the ride characteristics you’d expect from a race bred machine. This is the kind of bike that will literally shave seconds off your race times with its snappy cornering and unshakable stability. Simply put, it’s one of my favorite bikes I’ve thrown a leg over. The geometry, build spec, and ride characteristics come together to create a bike that rides exceptionally well.